Solid Gold Northland is excited to announce we have a new name, Northland Natural Pet. For the past 18 years our company has focused solely on natural & holistic pet care and our future dedication to this commitment is reflected in our new name. Be assured, there is no change in our company ownership, staff, or business model. 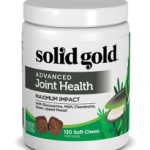 As well, there is no change in our relationship with the Solid Gold Pet Food brand or any of our other vendors. 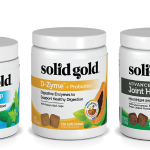 We are one of the very top Solid Gold brand distributors in the world and look forward to being instrumental in their upcoming growth. Every day, Northland Natural Pet is committed to our success and yours. We will continue to hone our strengths and capabilities in order to be the outstanding and reliable distributor you count on. We look forward to the next several months of completing the process of the name change and rolling out our new look to you. We are grateful to everyone who has been part of the past years and we are looking forward to a bright future together with old friends and new!